It was a rather nondescript shop on Calcutta’s famous Rashbehari Avenue, opening onto the hawker-crammed, bustling Gariahat footpath. Few passersby, except for stray music-loving cognoscenti, turned a glance towards its drab and shadowy interiors, where a handful of craftsmen would be bent over their work, putting finishing touches to sarods and sitars for India’s greatest musicians. Over the years, Hiren Roy & Sons became as much of a legend as the musicians who used the sarods and sitars made here, which were one-of-a-kind masterpieces. They were highly prized by ustads, much as the Stradivarius instruments are by violinists in the West. But last month, this 67-year-old shop finally downed shutters, after struggling for its existence for the last several years. A few blocks away, another legendary music shop, Hemen & Company, carries on bravely, now single-handedly keeping alive Calcutta’s reputation as the place where the world’s finest sitars and sarods are made. It’s hard to imagine that this hole-in-the wall establishment once had as its regular visitors the likes of Ustad Ali Akbar Khan, Allah Rakha, Pandit Ravi Shankar and Annapurna Devi. They would sit with the craftsmen inside, spending hours ensuring that the instruments were made to their exacting specifications. Entering Hiren Roy’s shop was like entering a time warp that shut out the chaos, clamour and crass commerce of the streets surrounding it. I recall how, with unfailing regularity, the patriarch would arrive there each morning in starched and spotless dhoti and kurta, then change into a crumpled vest and lungi, join the other craftsmen sitting on the floor, and get to work fashioning a masterpiece that looked as beautiful as it sounded. When I ordered my first sitar from him, and told him what I wanted, he answered gruffly that such an instrument would cost at least Rs 30,000. I replied sadly that I could not afford more than Rs 3,000. He nodded wordlessly, and then proceeded to take careful measurements of my arms and torso. Four months later, I got a call to say my sitar was ready. It was exactly the sitar I had dreamed of, but the bill Hiren Roy gave me was for a mere Rs 3,000. A deep love of music (he was himself an accomplished sitarist) and pride in his craftsmanship were what drove him, not profit. Today, I have been offered more than Rs 1 lakh by a connoisseur for that sitar, with its incomparably burnished sound. It will never be for sale. Hiren Roy and Sons’ main competitor for decades was Hemen & Co, and today 86-year-old Hemen Sen deeply laments the demise of his rival, because he fears the bells toll for him as well. “Hiren Roy’s closure is perhaps the biggest indication that our art is no longer much in demand,” he says. 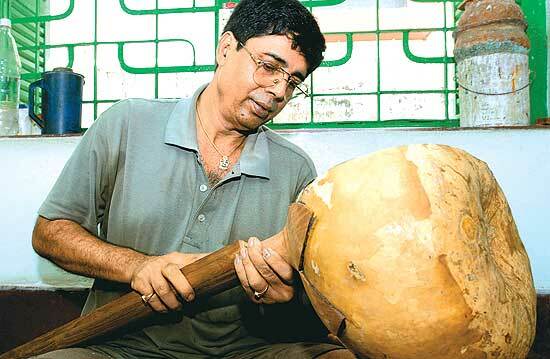 Clad in a lungi, the bespectacled old man is hunched over a half-finished instrument, dusting off chiselled chips of wood with the kind of care that mothers lavish on their babies. So absorbed is he in his task that he does not notice a couple of foreigners standing at the door of his shop. 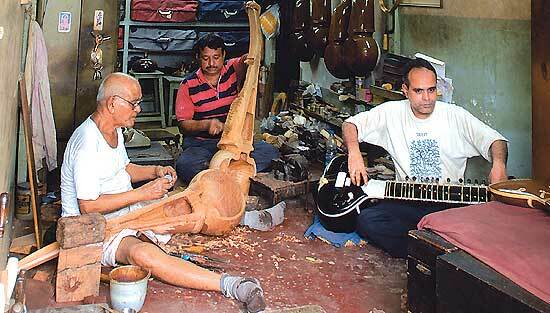 Wondering how long before he, too, has to shut shop, Hemen Sen says: “Sitar or sarod making is no longer what it used to be. Once upon a time people were passionate about classical music. The quality of musicians was also much better. They would train for years before being allowed by their gurus to perform publicly. Those days are gone. The only music today’s kids want to learn is the kind that will get them to win television competitions.” However, Sen hopes this trend will reverse as the young generation begins to value and treasure its traditions again. 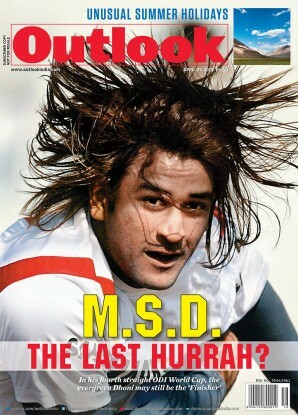 And when that day comes, he says confidently, his two sons Ratan, 50, and Tapan, 44, will be ready to take his legacy to new heights.